This week's blog is all about numbers--from the 87 year old roof on Saint Bernard's Church, to the 1/3200 shutter speed of the bird picture, to the 2500 families serviced by the Hastings Post Office. 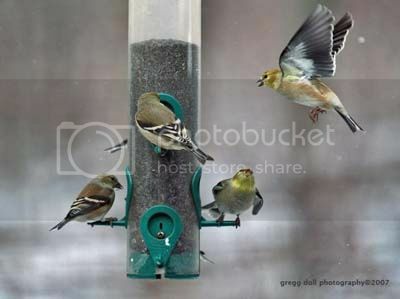 Goldfinches flock to a thistle feeder in a blowing snow. From time to time, people ask me how I get the pictures like this one. 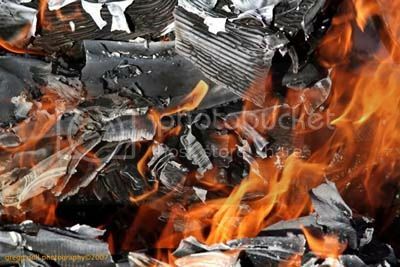 So, when I can remember, I'll add a little technical data with the pictures. This picture was shot at f2.8 with a shutter speed of 1/3200. The ISO or film speed was 800 and the focal length was 200 mm. 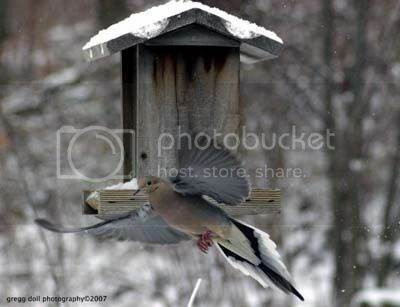 Mourning dove passing in front of a bird feeder. This picture was shot at f5.6 at 1/1250. The ISO was 1600 and the focal length was 130 mm. 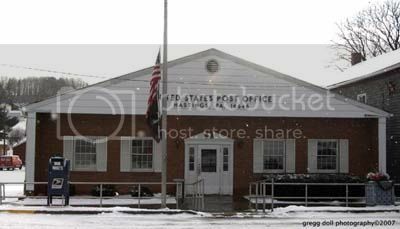 The post office serves 2500 families in Hastings, Susquehanna Township and Elder Township. 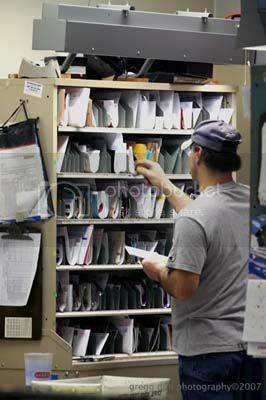 After sorting the mail, this rural route driver delivers the mail to 550 families in the Hastings service area. 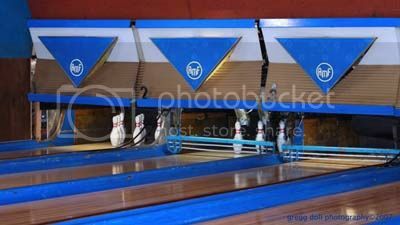 Pictured here is a 1960s AMF 6 lane bowling alley. "The Lanes" is located on the second floor above the Hastings Moose Lodge. The equipment is so old that the owner has to remake his own parts to keep the machinery running. A strike in the making. 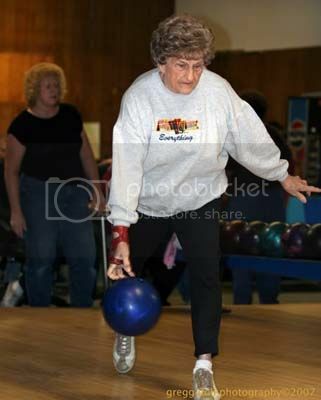 One of the members of the Wednesday mornings ladies bowling league. 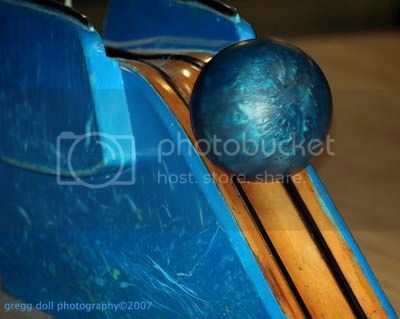 Close up of a ball return. Alma D. of Patton, PA, 80 years old and still going strong with a 135 bowling average. This is just a small part of some bee hives in Susquehanna Township. 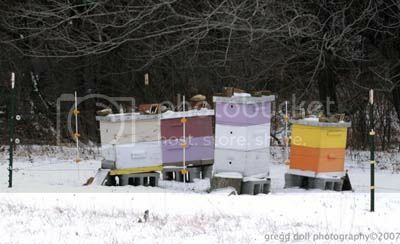 Take notice of the stakes and wires surrounding the hives. This is called "bear proofing". 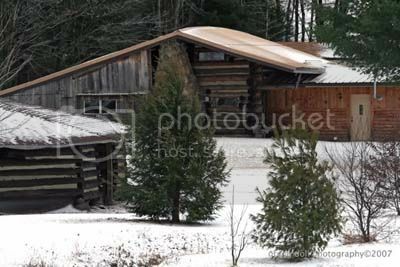 This is my friend Ed's place. I wish he'd adopt me. The problem is he's younger than I am. 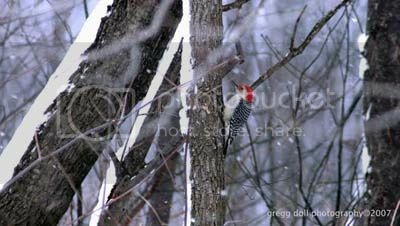 Red-bellied Woodpecker out looking for food in the blowing snow. This picture was shot at f7.1 at 1/320. ISO 400 and focal length of 300 mm. 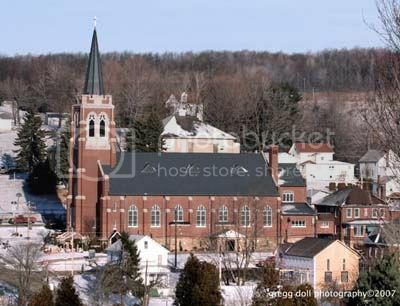 Under a new roof - for the first time since 1923 Saint Bernard's Church in Hastings shows a new look to it's roof. During a recent re-roofing of the church four new dormers were added to help provide ventilation. Thank you. These are great. 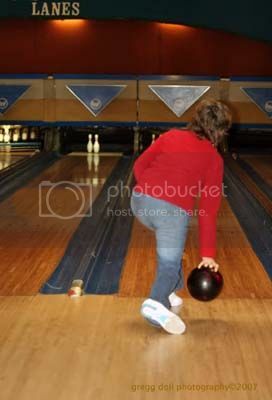 Is this bowling alley still there?